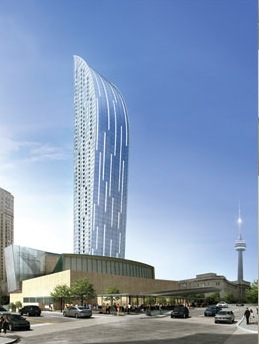 L Tower construction information 8 The Esplanade – L Tower Update May 2. The tower crane is coming down in sections this week. This work will continue through the week. The Esplanade remains open to eastbound traffic with only minor temporary interruptions for safety reasons. 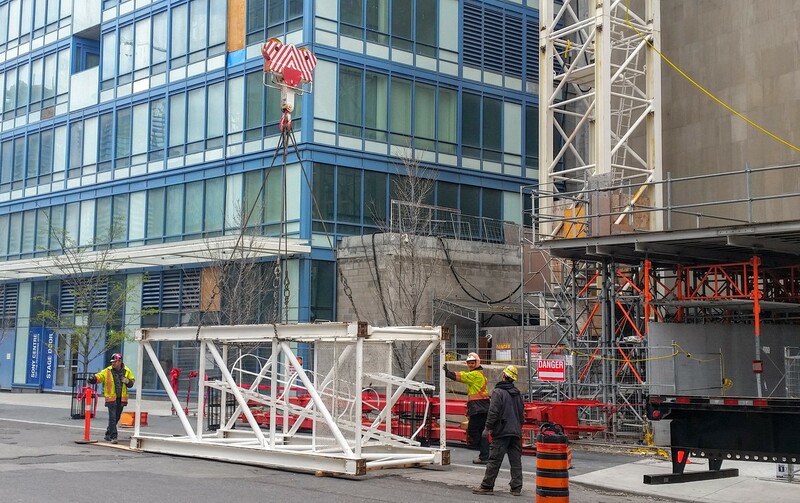 Pedestrian access to Yonge Street is unaffected, however when sections are being lowered to the sidewalk, pedestrians are directed to walk on the south side of the street. 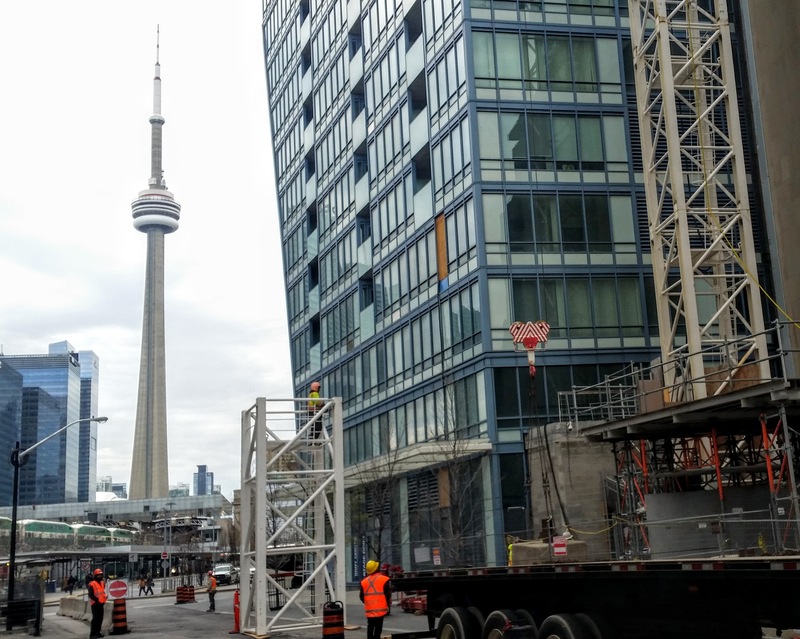 When the crane removal reaches the 17th floor, a mobile crane will be required to take the remaining sections down. 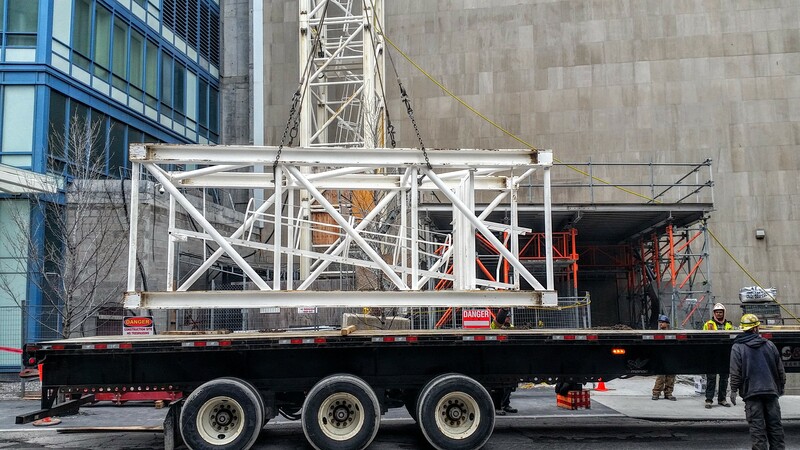 To permit the mobile crane to be delivered, installed and removed, a vehicular road closure from Scott Street to Yonge Street along The Esplanade will be required. 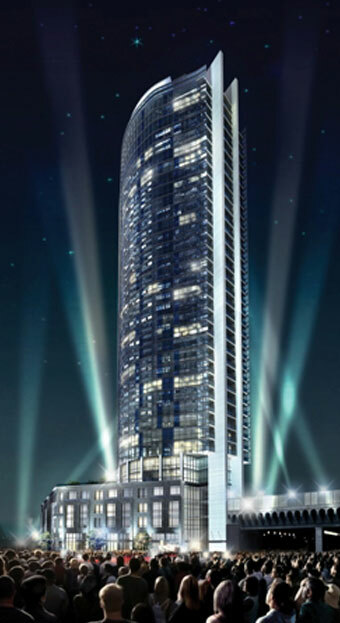 Construction managers are meeting with City of Toronto staff this week to confirm those dates. Deputy Mayor McConnell’s office is being kept informed. We expect to have an update on road closure by Friday. Please check back for updates.